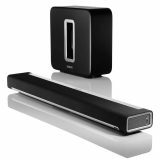 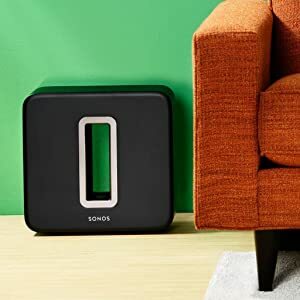 Add a new dimension of deep, bottomless sound to your Sonos PLAYBAR that lets you hear the crush of every action sequence and the shred of every power chord. 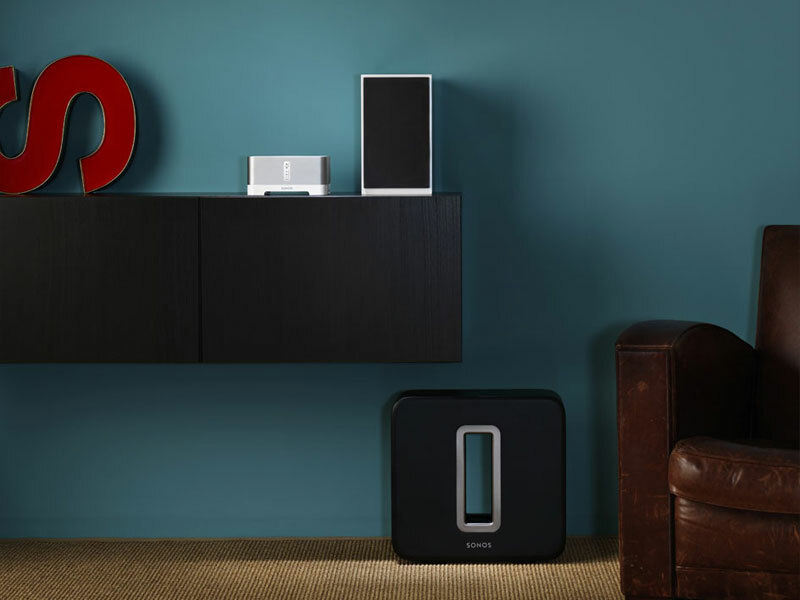 You won’t just hear the difference SUB makes–you’ll feel it in your bones. 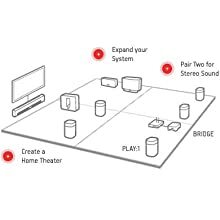 Add a BRIDGE (sold separately) to combine your SUB with a PLAYBAR and a pair of PLAY:1s or PLAY:3s and you’ve got immersive 5.1 sound. And with it? 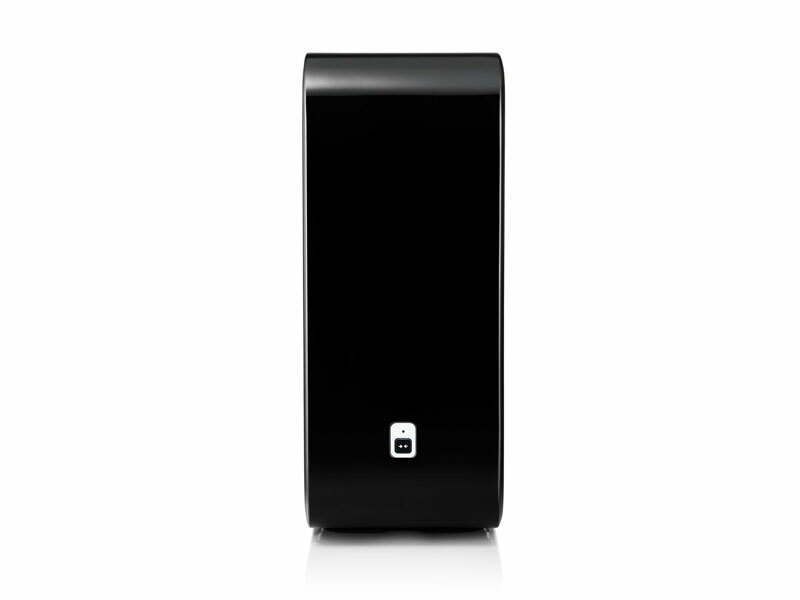 The power to play anything and make it sound amazing. SUB works with all other Sonos amplified components to add face-melting bass to your favorite songs in any room: CONNECT:AMP, PLAY:5, PLAY:3, and PLAY:1. 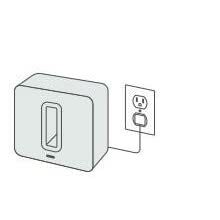 Plug the SUB in to the nearest power outlet. 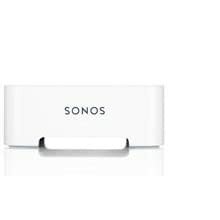 Choose a controller and select ‘add a sonos component’ in the Settings menu. 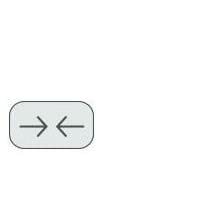 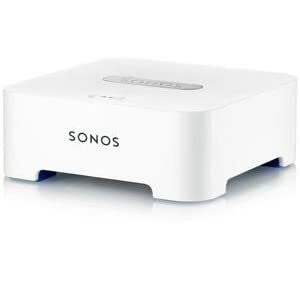 When prompted, press and release the JOIN button to add the SUB to your Sonos Wireless HiFi System. 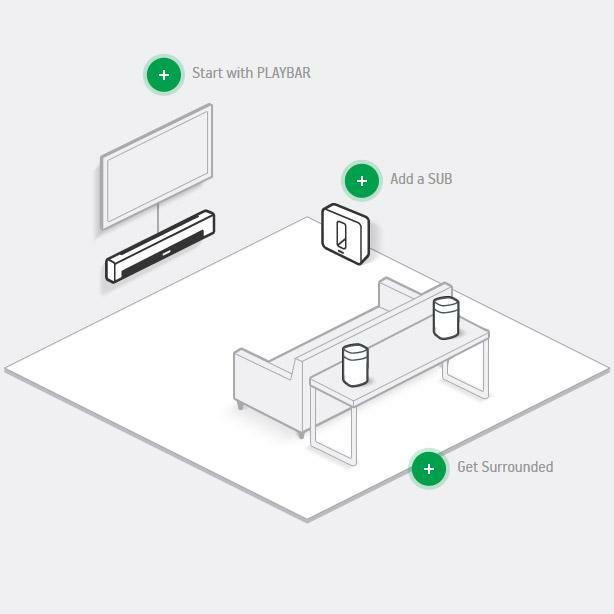 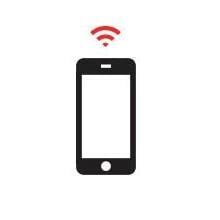 If you’re pairing SUB to a PLAYBAR you’ll need a BRIDGE connected to your router. 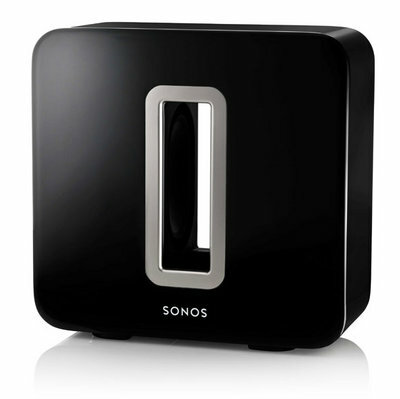 The ‘Sonos Controller App’ lets you browse and play your music from any device. 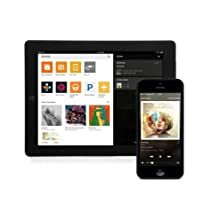 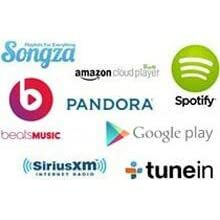 Use your smartphone, tablet, or computer to stream different songs in each room, group rooms together, or hear the same beat everywhere. 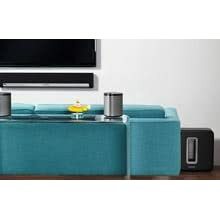 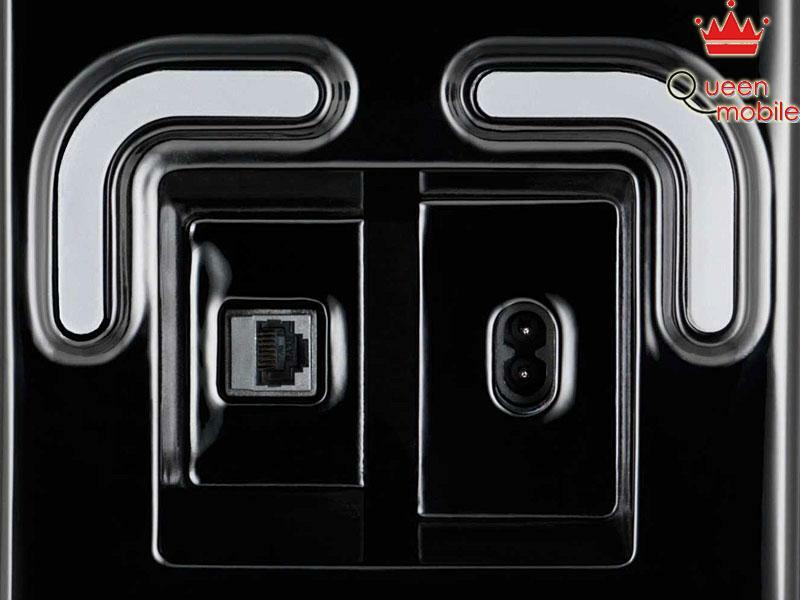 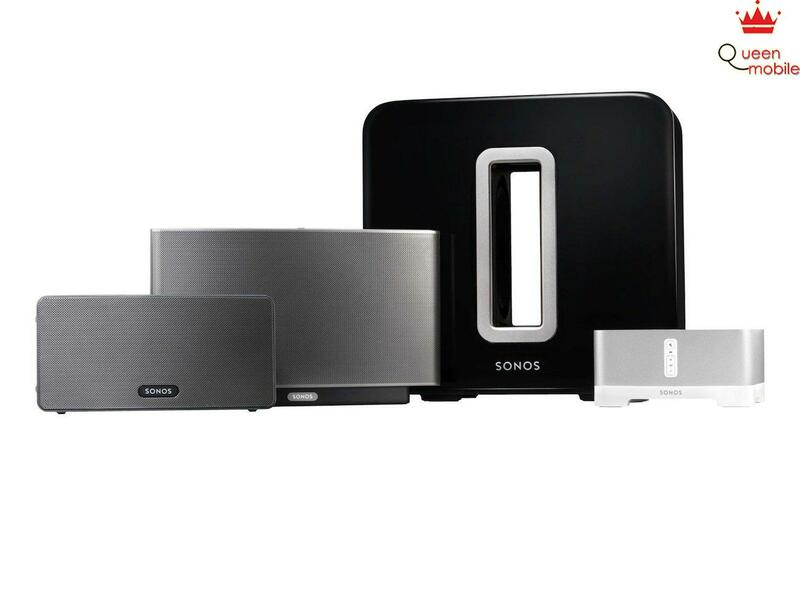 The Sonos BRIDGE lets you wirelessly connect your SUB to a PLAYBAR and PLAY:1 or PLAY:3 rear speakers for an immersive 5.1 surround sound experience that’s simple to set up and control.